In-office teeth whitening is different from over-the-counter products because the agent that is used reaches below the surface. As a result, this causes the pores in your enamel to remain open for 24 to 48 hours after your appointment. Your teeth are more prone to staining during this time until minerals re-construct the pores. You are also more likely to experience tooth sensitivity as well. Foods and drinks that are darkly pigmented, like coffee, tea, and berries contain staining agents, so you want to avoid them. Instead, it is best to stick to a “white diet.” This includes foods white in color, like chicken, plain yogurt, and white rice. When choosing foods, also consider the spices and ingredients used to make the dishes. For example, avoid curry and other dark spices that can lead to discoloration. New advancements reduce the risk of tooth sensitivity after whitening treatments, but it can still occur. To prevent it, skip any foods or drinks that are too hot or too cold, like soups or ice cream. Drinks that contain acid or are dark in color, like soda or orange juice, can cause your teeth to become stained while also leading to sensitivity. It is best to drink water for the first couple of days after your treatment. Alcohol, like red wine or beer, can have adverse effects on the teeth whitening process. Tobacco in any form can lead to new stains. Now that you have achieved a bright smile, it is time to protect it from new stains. With a proactive approach, you can ensure your results last. Limit your contact with stain-causing foods. If you cannot, brush your teeth or rinse your mouth with water right away. Limit your contact with stain-causing drinks by using a straw. Ask your cosmetic dentist in DeLand about touch-up kits. 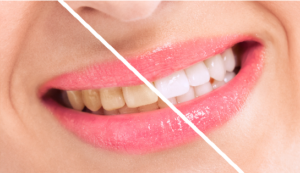 A professional whitening treatment will reveal a bright smile that can last for several years with the right aftercare. Make an investment in your confidence today with your cosmetic dentist. Dr. Christopher Cowell has dedicated his life to helping his patients achieve healthy, beautiful smiles. He provides general and cosmetic services, including teeth whitening. If you are ready for a bright smile, contact our office today to schedule your consultation.